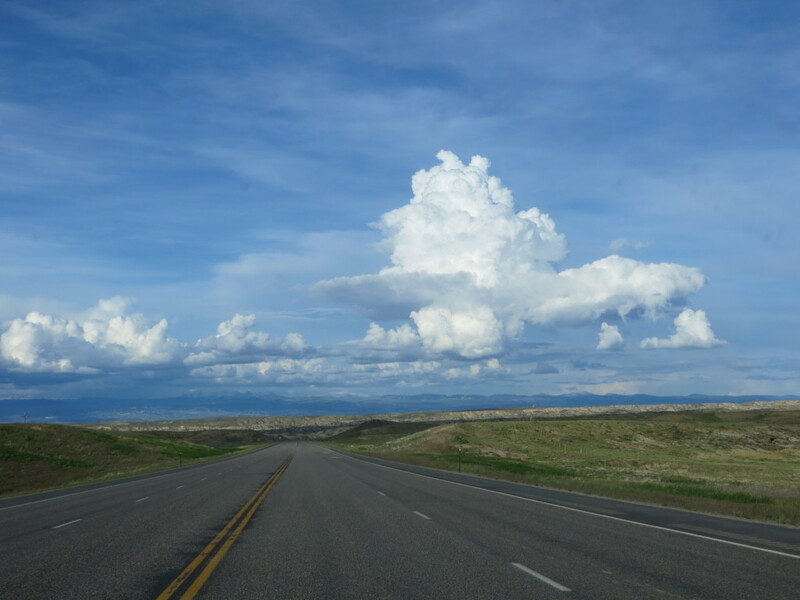 I keep remembering my uncle from New York State, who, upon his one visit to Wyoming, repeatedly commented on our clouds… and as a teenager, I thought that he was so funny… They’re JUST CLOUDS. 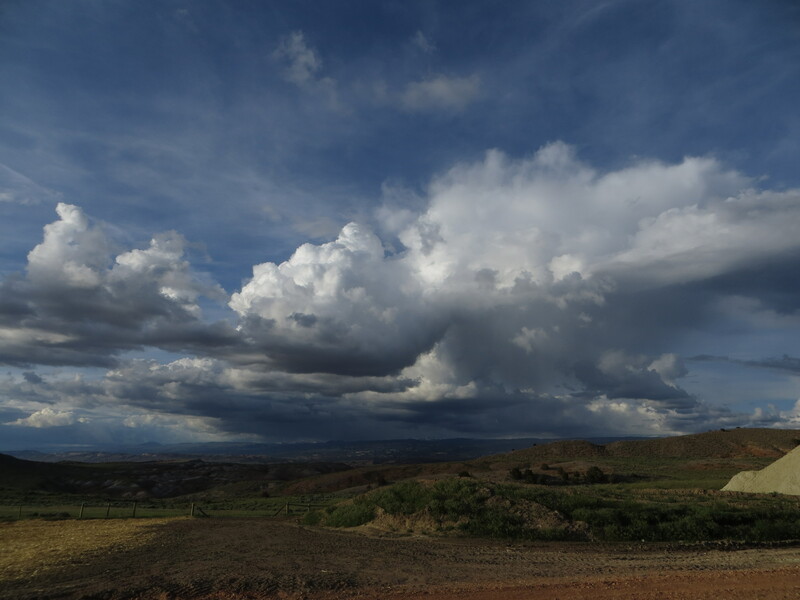 With all this rain… all I seem to do, is take photos of clouds. My sister was just up from Texas and commented on the sky too lol! I agree, with all this rain the clouds have been ever present. But, in the few moments of sunshine we’ve had in the last month I can’t help but marvel at the beauty of the lush green with the blue and white background! My husband, who grew up in south Louisiana (elevation 3ft. 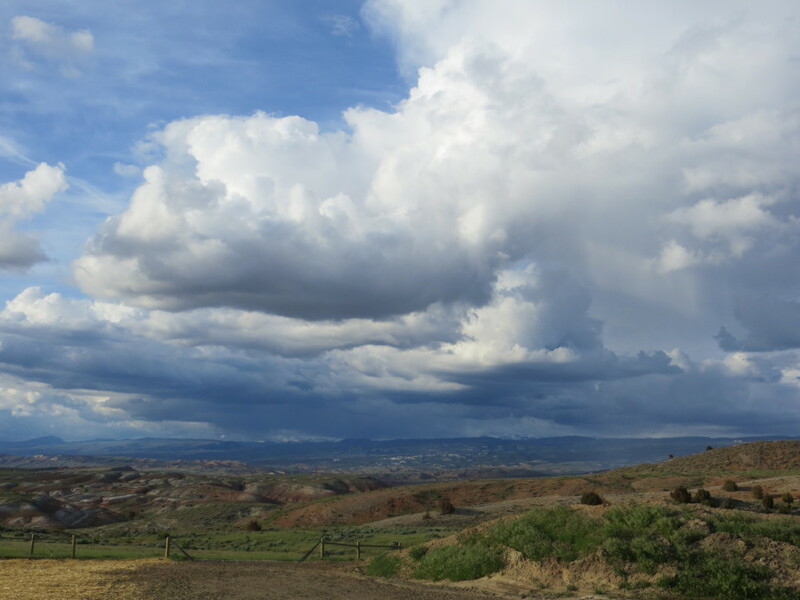 [Theriot, Terrabonne Parish]), has commented on the clouds in Wyoming and Montana since we moved out here. With the weather we’ve been having lately I must hear “The clouds are so low out here!” at least twice a day. 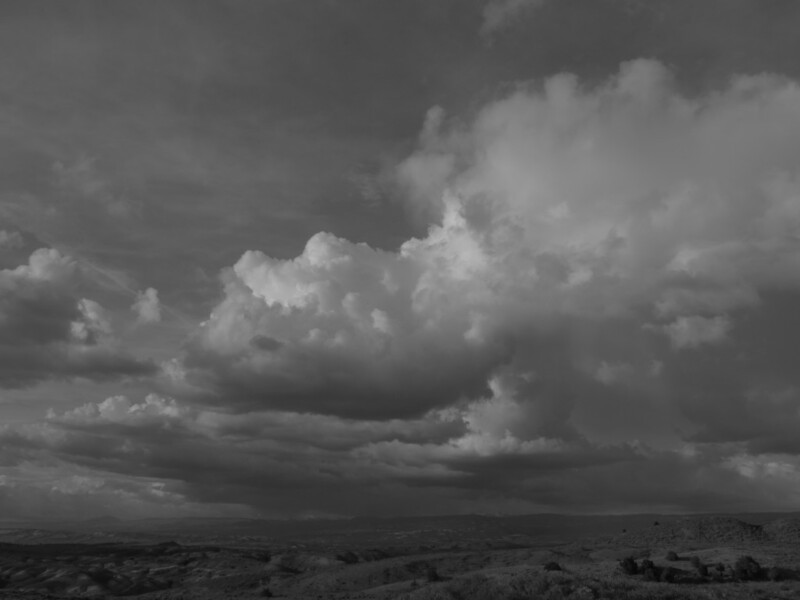 Eric Sloane would have loved your clouds!